Aww come on, how could you forget the “ten” after “nine”? That’s like leaving the cherry off the ice cream sundae! 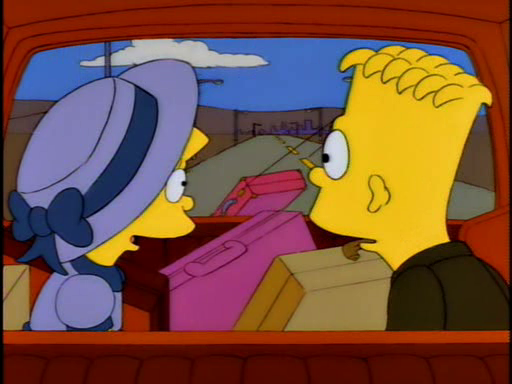 Why is Bart holding one of the suitcases with his mouth?